Zen mind is one of those enigmatic phrases utilized by Zen edifiers to make you descry yourself, to transcend the words and wonder what your own mind and being are. This is the purport of all Zen edifying—to make you wonder and to answer that wondering with the deepest expression of your own nature. Fixating on what’s transpiring right here and right now, which is this physical body, whatever sensations there might be, and breathing. Someone may think, “If a good person is the same as a bad person, wouldn’t this create a lot of confusion?” This problem does not arise for one who is deeply enlightened. The experience of one’s method and body disappearing can be due to two factors. It is still on a worldly level. It is not that they will not arise, but you will not worry about them. Hold on to one method and go into it as deeply as possible. You are all cognizant that this Zen center is not an ideal environment for practice. It’s a spirit of taking what comes to us and really working with it. You can learn from that as well as anything else. Let it be simple. However, this creates a duality of subject and object. A carefree approach does not mean not caring about how you practice; it means considering anything that happens as natural. 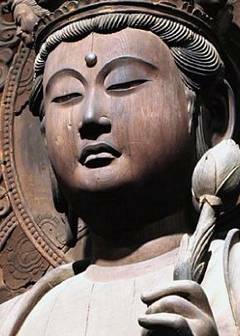 When one goes to Obaku temple in Kyoto he sees carved over the gate the words “The First Principle”. The letters are unusually large, and those who appreciate calligraphy always admire them as being a mastepiece. They were drawn by Kosen two hundred years ago. When the master drew them he did so on paper, from which the workmen made the large carving in wood. As Kosen sketched the letters a bold pupil was with him who had made several gallons of ink for the calligraphy and who never failed to criticise his master’s work. The third of the wise and skillful efforts is the effort to encourage, inspire, and cultivate the emergence of the healing, lovely, and wise qualities of heart and mind that lie dormant within us. Vision reminds us of our capacity to listen deeply, to be aware, and to realize our own potential for greatness of heart and mind. It is wise effort to nudge those seeds of potential from dormancy into life. In the midst of our impatience in a traffic jam, we surprise ourselves by cultivating loving kindness. As we turn away with aversion from the person begging from us on the street, we pause for a moment and remember the power of compassion. As we feel ourselves becoming seduced by our inner stories of resentment or bitterness, we remind ourselves of our own capacity to find balance and calm. In the moments when feel we feel most despairing, powerless, or confused, we remember that we have the capacity to listen deeply and find connectedness. We remind ourselves of the simplicity, calm, and peace possible, and we cultivate them.